Nanoworks Conditioner - The best in hair care!! Pureology has by far the most superior products on the market. I've worked for a leading beauty distributer and know about a lot of products out there. I've tried more than my share of products for Fine and Straight hair that is colour treated and all I can tell you is that if you're not using these products you are missing out! Pureology has targeted consumers who has colour treated hair but, you don't have to have colour treated hair to enjoy the benefits Pureology has to offer. Pureology's Nanoworks Conditioner has so many healing benefits and is just amazing. I've never used a product before that you can use weekly too rejuvinate your tired, weak and lifeless hair and come out of the shower with hair that has more bounce, more shine and more strength than you ever thought possible. 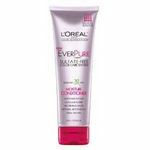 This product can also be used daily for hair types that are course and dry. The Nanoworks shampoo is FABULOUS as well. I use it daily during the winter to make sure my hair gets an extra boost of life and shine. If you're afraid that your hair is too fine to use this miracle working conditioner think again, it works for all hair types all though I only use it as needed. I know that the Pureology Products can be pricey but, I have to tell you that A LITTLE really does go A LONG WAY! For example I only have to replace my shampoo's every 90 days.. .that is how concentrated they really are. So, if you're looking for a product that preforms even better than it promises - This line is for you!!! Used with the Nanoworks Shampoo this Conditioner is fantastic!! I first tried the Pureology Nanoworks line while staying at the Hyatt Tamaya in New Mexico. 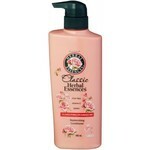 This product smells absolutely heavenly, and feels like silk when you are running it thru your hair. It was recommended to me because I have colored hair and the unique properties of the Nanoworks line help to lengthen the time your color lasts. Boy did it do a good job at that but get this!! My husband loved the smell and decided to use the entire line on his natural hair. He is over 40 and beginning to go gray. His hair actually began to darken and the gray began to recede. It was weird but wonderful. The conditioner, nor the entire line for that fact, mention this wonderful side effect but there it is. he has been using the line for about a year now and his hair s back ti its original brown w/auburn highlights with little or no gray. WOW! I started my teen daughter using the product when she began coloring her hair even tho she was using a non-permanent color line. it has done wonders for lengthening her color time as well. You will pay more for this conditioner, for the whole line actually, but it is definitely worth it. The entire Pureology Nanoworks lines is top-notch. This product conduct conditions without leaving any residue: in fact, it feels weightless! My hair is long and straight, and gets tangled very easily. 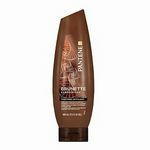 This conditioner leaves it soft and silky smooth, and I'm able to run my fingers right through it. Also, it's great for color-treated locks! I love Pureology Conditioner! Along with the shampoo, Pureology conditioner keeps my hair color looking bright and new for the 10 weeks I go between coloring. 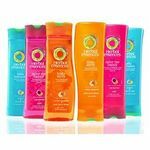 I have used other color-maintaining hair care products but none work as well as Pureology. Besides keeping my color bright Pureology conditioner actually conditiones my hair well leaving it silky and smooth. Also it keeps my hair looking healthy and strong. (less splist ends and broken hair) Even better, Pureology conditioner does not smell "chemicaly." It doesnt smell like fake flowers or scents, it doesnt smell like I walked into a chemical plant. Pureology shampoo and conditioner smell natural and fresh, which makes me feel better about using them. The only problem with Pureology conditioner is the price. It is a little more expensive than other brands, but I figure it is cheaper than going to the salon to get my hair dyed again. So overall its a pretty good deal. 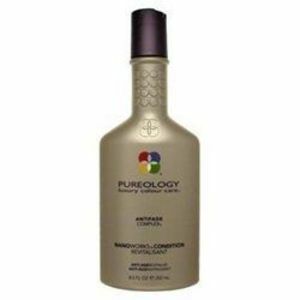 Pureology Nanoworks the most amazing conditioner I've ever used.